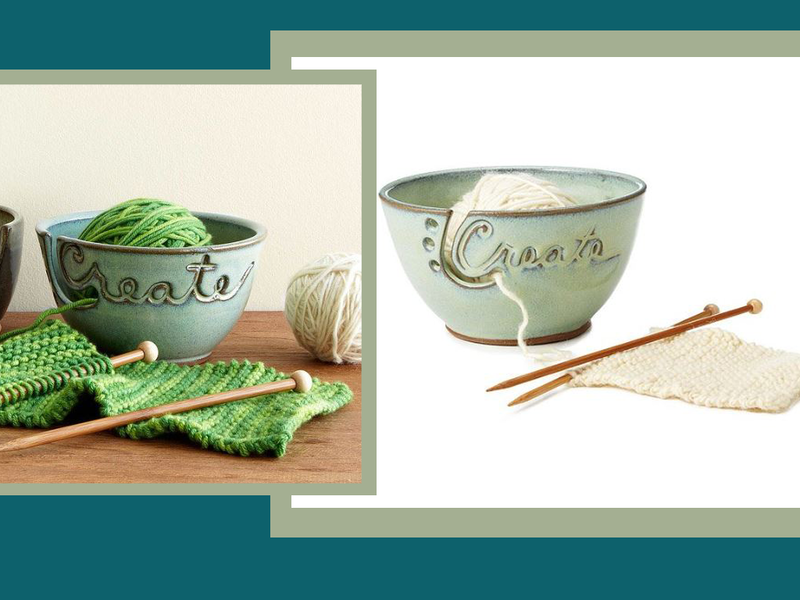 This helpful creative flow yarn bowl is just the think for fabric artists. People who knit or crochet will find that this is really useful. Yarn can become tangled, mangled or dirty which really slows down the process. You will have to stop what you are doing anytime that your ball of yarn needs attention. Projects will be finished much faster wit the yarn bowl because it holds your yarn in place. You can continue your work uninterrupted and your yarn will feed out of the bowl as needed. 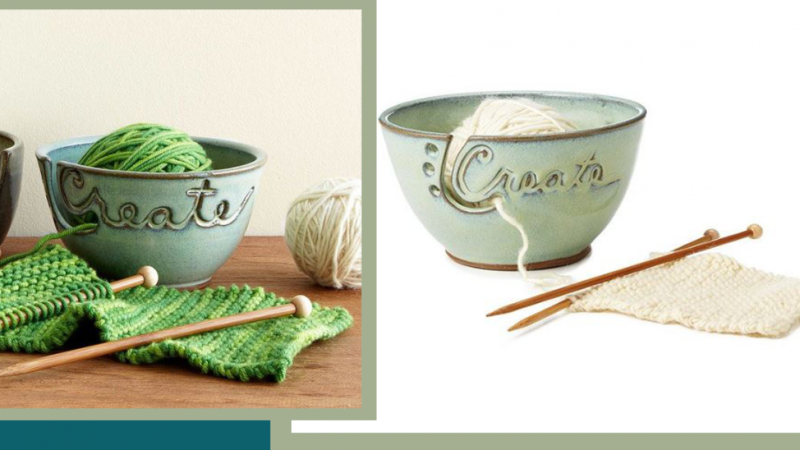 Simply place yarn through the slot on the bowl and it will unravel naturally as you work. You will be surprised how much time that you save when using it. Keep your work organised and ready to continue by leaving the needles in the specially designed holes. It can be annoying when you want to continue a project just to find that your needles have been moved or misplaced. This is useful because you will always know where they are. If you are working on a project that requires you to change needles you can keep everything that you need nearby. You can give this as a gift to your favorite fabric artist because it is sure to be appreciated. A simple item that is both unique and innovative.